Are you interested in becoming a wedding officiant? Perhaps you’ve just performed a friend or family member’s wedding ceremony and you had a great time doing it, or maybe you’re just curious about what it takes to become an officiant – either way, we are here to help you on your path to a fun, rewarding career. 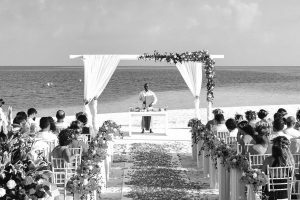 WeddingOfficiants.com – The Wedding Officiant Directory is a top resource on the web for couples searching for officiants, and for information and advice to help officiants start and grow their businesses. What is a Wedding Officiant? – The definition of a wedding officiant, and the differences between an amateur and a professional wedding officiant. Wedding Officiant Cost – Our most popular article, discussing officiant fees and the average cost of a wedding officiant. Why You Should Hire a Professional Officiant – Our advice to engaged couples on hiring a professional officiant to perform their wedding ceremony. 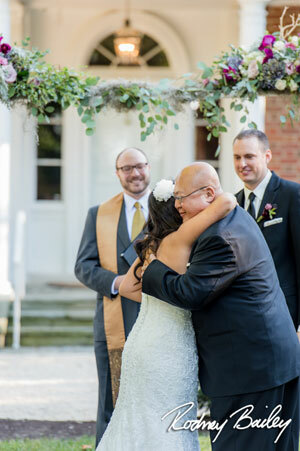 Assuming you’re ready to get started, read below to get started on the path to becoming an officiant – once you’ve finished, be sure to take a look at the rest of our site, including our directory of local wedding officiants! Because you will be fulfilling the legal duty of certifying a marriage license as a wedding officiant, you need to familiarize yourself with the local laws anywhere you will be performing a wedding ceremony. Check the wedding officiant laws by state, and also research at the county and city level to see what the different rules and regulations are for marriage officiants. In some states, practically anyone can perform a wedding ceremony – in others, it can be next to impossible to get legal authorization to perform marriages unless you are the minister at a church with an active congregation. Most states in the US have fairly relaxed requirements for who can legally perform a wedding ceremony, but certain states like West Virginia, Massachusetts, and Arkansas have laws that make it extremely difficult to obtain authorization to perform marriages and prior registration and approval from the court is required. It is absolutely critical that you understand all of the local marriage license laws that apply to any area you are planning to operate as a wedding officiant. Performing a wedding ceremony as an unathorized officiant is illegal in some jurisdictions, even carrying the possiblity of prison time for offenders. For example, the penalty for “celebraing a marriage without a license” in the Commonwealth of Virginia is punishable by a fine of no more than $500 and no more than one year in jail (Code of Virginia § 20-28). In addition to penalties for the officiant, marriages performed by unauthorized officiants in some states may be deemed invalid by the local court – in which case, marriages performed by that officiant would not be legally recognized by the state and the couples they performed ceremonies for would not be legally married. Because of these potential issues, it is always in your best interests to do your due diligence in researching your local marriage license laws. While it is possible (and even easy) in some jurisdictions to perform legal marriages without ordination by a religious organization, we highly recommend getting ordained if you are planning on becoming a professional wedding officiant. Religious ordination gives you the most possible options for performing the rite of marriage in different states and counties, and eliminates many of the headaches of obtaining legal authorization to perform marriages in states where the marriage laws are particularly tough. Under Oklahoma law, for example, the only persons who may obtain the required pre-authorization to perform a legal marriage are judges and ordained clergy (Oklahoma Code §43-7) and there are no provisions under Oklahoma state law for any other persons to obtain authorization. The benefits of religious ordination for wedding officiants are twofold – one, it is easiest to obtain legal authorization to perform marriages in any jurisdiction by using religious ordination credentials and, two, it can make it easier to sell your officiant services to potential couples if you are also ordained. It’s often the case that, even if the couple hiring you doesn’t care about your religious ordination (or lack thereof), their parents or other relatives may be offended or uncomfortable with a wedding ceremony that isn’t performed by a religious figure. That may seem outdated or even silly to you, but it may sometimes mean the difference between earning a couple’s business and not – especially if their parents are paying for their wedding. Thankfully, it’s relatively easy to get ordained online, but be forewarned that not all ordinations are created equal. If you are trying to get authorized to perform marriages in a state that has stringent marriage laws, those states may not recognize religious ordinations obtained online or may favor certain ordinations over others. For more information on this topic, see our article “How to Get Ordained“. If you’re just starting out as a wedding officiant, you’ll need to first decide whether you want to set up your own officiant business or work for an established officiant company. Each has their own advantages – if you have a full-time job and only want to perform weddings on the weekends for extra money, then working for someone else may be the best fit for you. In addition to being exciting and rewarding, starting and running a small business can be difficult and time-consuming. If you don’t have a significant amount of time to put into in starting an officiant business, or if you aren’t willing to invest in a good website and advertising, then you should strongly consider working for an existing officiant company. Most major markets have one or more multi-officiant companies, and larger firms with good reputations will often be able to send a full schedule of weddings to their staff. Be sure that you understand the terms of any agreement you sign with a company to ensure that it isn’t excessively restrictive or cumbersome – some companies keep their staff as employees, while others operate more like a general contractor or referral service. If you have the time, the money, and the passion to start your own business, then the first thing you’ll need to do is decide whether to operate as a sole proprietorship or to form a corporation or limited liability company. We recommend speaking with an attorney or CPA in order to decide what’s right for you and your business – there can be significant differences between each option in terms of liability and taxation. Next, you’ll need to set up your online presence, including a good website and social media pages for your business. You’ll also need to consider whether you want to create any kind of physical marketing collateral such as business cards or postcards. Business cards really are a must for anyone in the wedding industry, you’ll need them for your marketing efforts and to give to the other wedding professionals you work with. Consider joining a networking or trade organization for wedding professionals in your area as well – referrals from other wedding vendors are a great source of high-quality leads, which makes your relationships with other wedding professionals very valuable. Remember that you’ll need to consider carefully the amount that you’ll charge for performing a wedding ceremony. It can be tempting to offer your services for a few hundred dollars even though the average cost of a wedding officiant is much higher. Unfortunately, many new officiants make the mistake of under-pricing their services, creating an inescapable feedback loop of low-paying customers that result in low-paying referrals. This eventually makes it practically impossible for them to make enough money to afford better advertising to grow their business and eventually become a full-time wedding officiant. You’ll need to decide for yourself how much you need to charge in order to make your business viable, and you’ll need to come up with a comprehensive marketing and advertising plan, including a marketing budget. If you’re serious about building a sustainable career as a professional wedding officiant, then joining the International Association of Professional Wedding Officiants (IAPWO) may be the single smartest decision you can make. The IAPWO offers educational content, networking opportunities, and member discounts for many products and services your business needs, as well as producing an annual wedding officiant conference. We are proud to be an official partner of the IAPWO, and WeddingOfficiants.com offers discounted advertising packages and upgraded directory placement to IAPWO members. For more information about IAPWO benefits or to become a member, visit IAPWO.ORG. If you already have a lot of experience performing ceremonies and are ready to jump in head first, then concentrate your efforts on finding the right places to advertise online. Free classified sites like Craigslist are obviously cost-effective, but couples searching for an officiant on these types of sites rarely want to pay officiants a professional rate to perform their wedding and competition is high. Lead-referral sites like Thumbtack and Respond.com promise to send you plenty of customers, which they may be able to do, but they also encourage competition based on price and then take a percentage of your money on top of it. These sites can be good for officiants who are just starting out and need to find low-paying “gigs” to boost their experience, but you will rarely find experienced, professional officiants advertising their services on those sites. Conversely, there are top-tier directory sites like WeddingWire, The Knot, and WeddingOfficiants.com which have great search placement and a large number of couples looking for officiants online. Advertising on these sites may be expensive for a new business, so you’ll need to evaluate what makes the most sense for you based on your budget. At WeddingOfficiants.com, we have several cost-effective advertising plans starting as low as $12 per month. Making wise marketing decisions can be difficult, especially in a niche industry like weddings. It can be very helpful to get the advice of established wedding professionals you respect, because chances are they’ve made most of the decisions (and mistakes) that you are facing as a new business owner. Seeking guidance from other wedding business owners can be invaluable, so don’t be shy about asking for help – it may just mean the difference between success and failure. Then again, if starting a new business sounds like more trouble than it’s worth to you, then perhaps you should consider working for someone else and letting them worry about it! Ready to move forward with becoming a marriage officiant? We hope you have found this information useful, and we wish you the best of luck with your new career. We encourage you to explore the rest of the Officiant Resources available on our site, and we hope you will consider joining WeddingOfficiants.com – The Wedding Officiant Directory. To view our different advertising options, visit our membership page!